About Kanna Toguchi, owner of Awakened Heart Wellness. Kanna is a certified 200 hr yoga teacher with over 500 hours of advanced yoga therapy training and certification in Reiki, Reflexology, and Thai Yoga Bodywork. 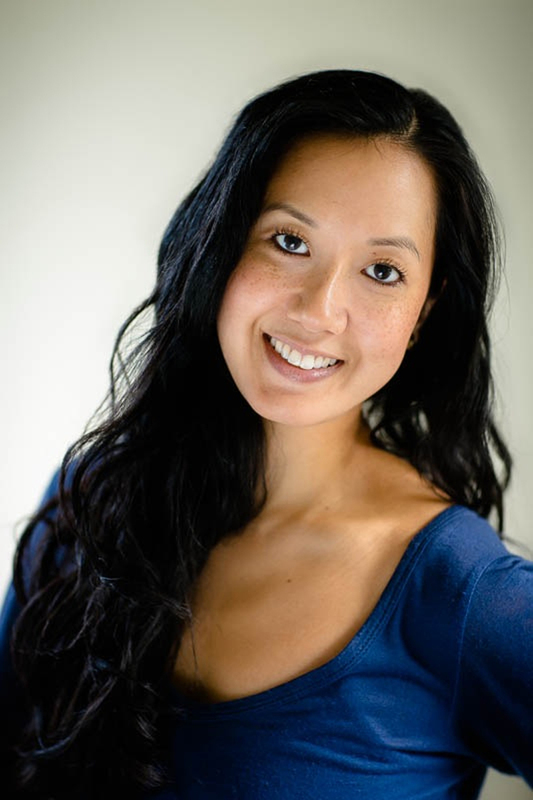 Through her private practice in Seattle, Washington, Kanna combines yogic philosophy, ancient Thai Yoga Bodywork, and holistic nutrition to guide clients through a healing journey that embraces the uniqueness of each individual. She specializes in helping clients work through trauma, eating disorders, body image issues, family of origin exploration, loss, grief, and autoimmune diseases. As a child, I loved fairy tales as they sent me into another reality; one where everything ends perfectly, happily. I often wished my life could mirror these fairy tales where a princess would meet a prince or a fairy Godmother who would whisk them away or remove all their pain / misery forever. Yet, as we all know, fairy tales aren't R E A L. My obsession with fairy tales was certainly a projection of my long held desire to escape the dysfunction / violence that existed at home. Life got R E A L early on. In my young adulthood, I was in and out of a string of tumultuous relationships, some where domestic violence was present. I had no fairy godmother who would sing a tune and things would magically transform with the wave of a wand. In my thirties, I also lost my beloved mother to cancer & 4 months later my father died tragically. I've experienced immense grief, the kind that takes hold, swallowing you whole. I was challenged most of my life with an eating disorder that, unbeknownst to me, was taking my life. I hated myself, where I came from; full of shame / guilt / resentment. So I tried to be someone I wasn't & held onto pain / anger / anxiety, wielding them like a sword & turned towards external sources to detach & numb. None of this led me very far. Only further away from Love. While in an unfulfilling corporate job 10 years ago, my diagnosis with not one but two autoimmune disorders was the catalyst that led me on the path of self re-discovery, seeking out healing and a haven from the chains of chronic stress. For a long time, I had been on a downward spiraling roller-coaster of self-destructive behavior, and the shocking diagnosis forced me to reckon with dark shadows and unresolved traumas. For much of my life, I had been hiding the shame of all that had happened to me. My life had been in a disarray and I was hanging on by a thread. This led me onto a path of spiritual exploration which at times has been riddled with discomfort, resistance and meeting face to face with my ego. Slowly, with the help of incredible healers, ancient holistic practices, and immersive self-study, I began to unfurl myself out of the grip of false identity, and re-discover the intuitive wisdom I have within. The wisdom that is also within you. My life challenges have all culminated to reveal my purpose; they sparked the fire of Love to be of service to others. It is an honor and my dedication to guide you into realigning and reawakening to your Truth and Divinity, to the Source within us all. Many of us are often led to believe that we must withstand the storms of life alone, or to suppress our emotions, voice & authenticity. This is not so. I stand with you as your equal to support you on your journey, sharing tools that helped me ride the waves when I was struggling to reach the shore. I will arm you with tools so you are able to Reclaim your Divine Birthright to live in Alignment with your Authentic Heart's Desires of Joy, Fulfillment & Prosperity. I will serve as a guide as you traverse the mysteries of the inner landscape so you can allow for the alchemy of Love to be transmitted; restoring your Personal Power, Vitality and Reconnecting with the Teacher within. So you can be your own "fairy godmother," "prince" or "princess" and transform your wounds of pain into Love. Love for the Self. As a former dancer and athlete, my love for movement, somatics and the healing arts deeply informs my work. I specialize in helping clients work through trauma (major/minor), anxiety/stress, body image issues, family of origin exploration, loss/grief, digestive challenges and autoimmune diseases (Hypothyroidism). Emotional Freedom Technique (also known as Tapping); a holistic technique that promotes a deeper mind-body connection, assisting with management of stress/anxiety. I am deeply nourished from sharing these healing arts with others and the symbiotic relationship that develops through each partnership. Above all else, I desire to Empower people with tools to Reclaim their Self-Love, Vitality, Abundance and Sovereignty, while offering a safe container for the spheres of the mind, body and spirit to coalesce harmoniously. My ultimate intention is to impart the great importance of Self Love and the innate capacity of the body to heal, restore and renew itself. I am honored to co-create with you and bear witness to your unfolding. When not in my practice, I can often be found cooking, gallivanting about outdoors, playing with my sweet pup Priya, thrifting and spending quality time with friends/family.